I’ve worked with many Wake Forest alumni who have had gaps in employment on their resumes for a variety of reasons: caring for children/family/aging parents, personal health issues, moving to a new city for a partner’s new job, international travel, going back to school for another degree, taking a work sabbatical, and being laid off from a job. If you find yourself in one of these situations and are trying to get your foot back into the world of work, consider the following tips for enhancing your resume (and using other avenues) to tell the story of your key skills and experiences. 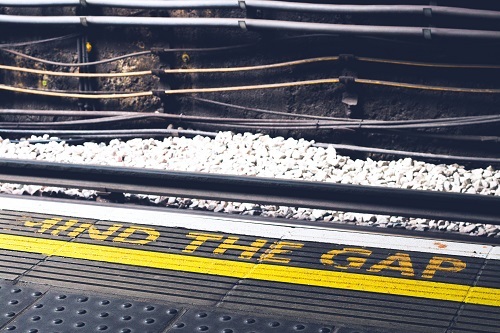 Highlight the relevant ways you’ve spent your time during the employment gap. Whether you have been unemployed for six weeks, six months, or six years, you’ve likely engaged in positive activities and experiences that should be included on your resume. This would include community and volunteer experience, leadership roles, professional development courses or training, freelance or part-time work, etc. For example, let’s say you have been a stay-at-home parent for the past few years. Have you volunteered at your child’s school? Are you vice president of the PTA? Have you led and managed a large-scale event for your church/nonprofit/child’s school? Do you coach a YMCA soccer team? Or, have you taken some free online classes in website design? These are all worthwhile experiences to include on your resume that demonstrate the transferable skills and experiences you’ve gained outside of the workplace. Use your cover letter and LinkedIn profile summary to further explain your employment gap. Rather than taking up space on your resume to state that you’ve been “Unemployed, 2017-Present,” use other accompanying job application documents like a cover letter and your LinkedIn profile summary statement to briefly explain your gap in employment. And if able, translate that gap into a positive by emphasizing what you learned/experienced/skills gained during that time period. Build relationships and connect with the right people. As you seek to re-enter the workforce, keep in mind that 70-80% of jobs are found through who you know (networking), not blindly dropping your resume into the online application abyss. Reach out to your warm connections (people you already know) and share that you’re in the market for a new job (don’t assume everyone already knows). Ask who they might connect you with in the job industry, company, or city in which you’re seeking employment. Get advice from folks who have been in similar situations as you (stay-at-home parents who are going back to work, individuals who have experienced health issues, those who have made a career/job change after completing graduate school). Use your Wake Forest network by tapping into the Wake Forest Alumni Group on LinkedIn, or connecting with other alumni in your local Wake Community or a Wake Affinity Group. As you share your story and make new connections, you’ll likely find it’s much easier to explain your employment gaps and to market yourself as a prime, competitive candidate for job openings. Looking for more specific suggestions for updating your resume? We’re happy to help! Connect with our team of career coaches here for a resume review and/or conversation about your next steps.